Floating covers are a method of protecting large volumes of water at a fraction of the cost of tanks or other storage methods. We are experts in the application of floating covers for the containment of potable water and have cover designs for most containment applications. 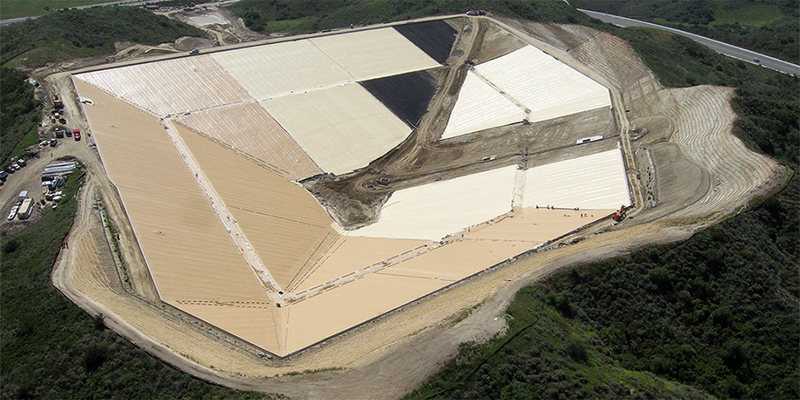 Layfield’s REVOC line of floating covers is one of the most comprehensive in the industry. We provide defined-sump, and cable-tensioned covers for potable water applications as well as odor, algae, and evaporation control covers for wastewater applications. Our newest cover types are the REVOC Biogas collection cover and the REVOC Insulated cover system. These new covers give us additional options in wastewater treatment. We can provide application assistance, design assistance, or complete designs for all of your floating cover applications.